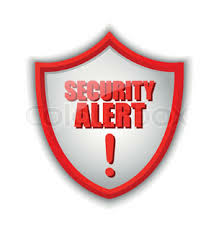 SECURITY ALERT – There appears to be a group operating in this area which has the capability to electrically unlock vehicles. This occurred last week on the Cali side of Westador. Targeted vehicles included a Mercedes, Infinity and Chev Silverado. The only things taken from the vehicle were insurance and registration documents. The working theory is the perpetrators will use the VINs to acquire keys for the vehicles and will return to steal the vehicles. Our Deputies suggest that if you have a vehicle which appears on a “most stolen list” (https://www.nicb.org/news/news-releases/2017-hot-wheels-report) you may want to take special precautions such as: park in your garage, install a kill switch or use something like The Club to lock your steering. Residents and homeowners are encouraged to attend, meet the board, and be aware of board activities. Since this is a board meeting, attendees cannot participate, but can voice opinions and concerns at the beginning of the meeting, limited to 5 minutes. Harris County Sheriffs Office Tactical Units are conducting exercises at and in the vicinity of 1011 Belaya (property owned by HC) for the next two weeks. If you happen to run into these Deputies, please thank them for all they do. HCSO Deputies Roy and Wiley advise: Lock your vehicles, don't leave valuables in them. Lock the doors at your residence. SECURITY NOTICE – If you observe vehicles which appear to be abandoned in proximity to your residence, please report that to Skip Midcap, 281-893-7398. SECURITY NOTICE – Westador is moving into the 21st Century with regards to how we will be communicating SECURITY ALERTS in the future. We will no longer be having residents call a Security Alert phone number. Instead, all SECURITY ALERTS will be posted on WESTADOR.ORG and an email will be sent out to all residents who have provided their emails. Serving Precinct 4 constituents is our number one goal. With that in mind we have one stop, one phone number, one e-mail address for you to find a solution to any need you might have in Harris County. Whether it is a street or a stop sign to be replaced, a road or sinkhole repaired, or questions or comments about Precinct 4 services, CAD can assist. In addition to processing requests for maintenance, CAD maintains current records and information on many services and agencies within Harris County and Precinct 4. Information on Precinct 4 parks and our Senior Adult Program will also be provided. Thank you for the opportunity to visit with your community.